Sonova is the leading manufacturer of innovative hearing care solutions. Through our core business brands, we offer our customers one of the most comprehensive product portfolios in the industry—from hearing aids to cochlear implants to wireless communication solutions. 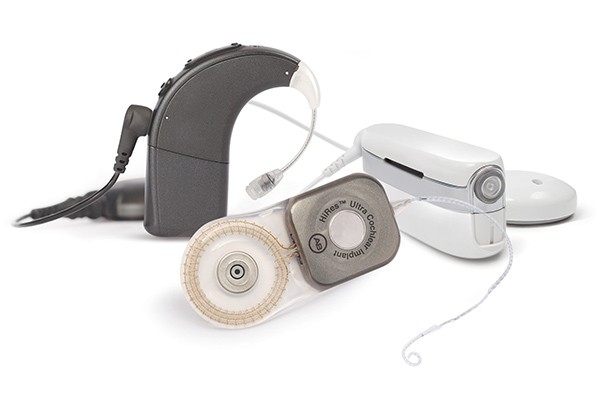 Advanced Bionics is the only U.S.–based manufacturer of cochlear implants. 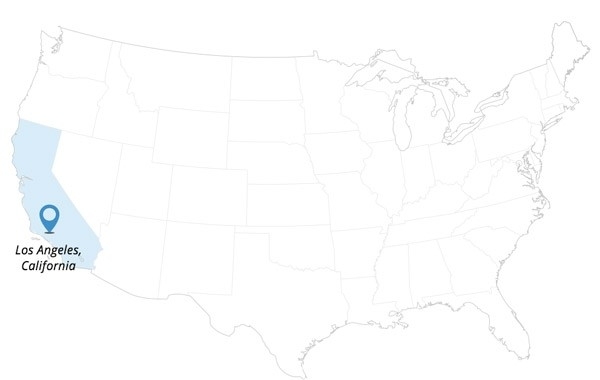 All of our manufacturing is done in Southern California. 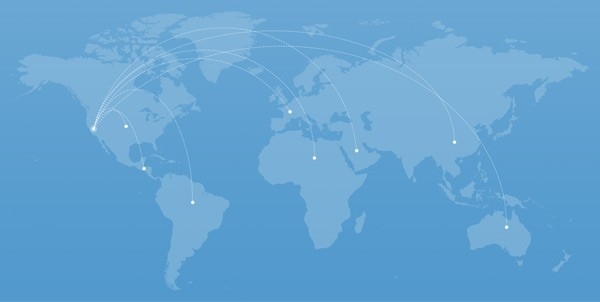 Our Los Angeles site is the hub of our scientific incubation. The Manufacturing floor was designed for tours with low windows and ledges for recipients and children to see where implants are made. The cleanroom occupies 29,000 square feet and is a Class 10,000 or ISO Class 7 cleanroom. The rating is based on number of particles in a cubic foot of air. Regular air has more than 100,000 particles. Advanced Bionics currently employs 950 people worldwide and almost 200 specialize in building our products. We have a diverse workforce with scientists and researchers from around the world contributing to our success. Over 25% of our sales revenue is invested back into R&D ensuring future steps in technology. The dedicated people in manufacturing who build our products receive hundreds of hours of intense training before ever touching a device. 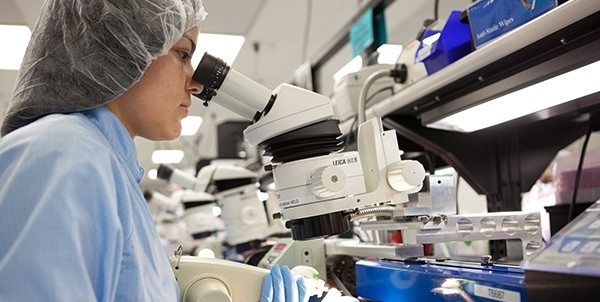 There are over 100 steps involved in making a cochlear implant, including 20 inspections and 17 different tests at various points in the process. 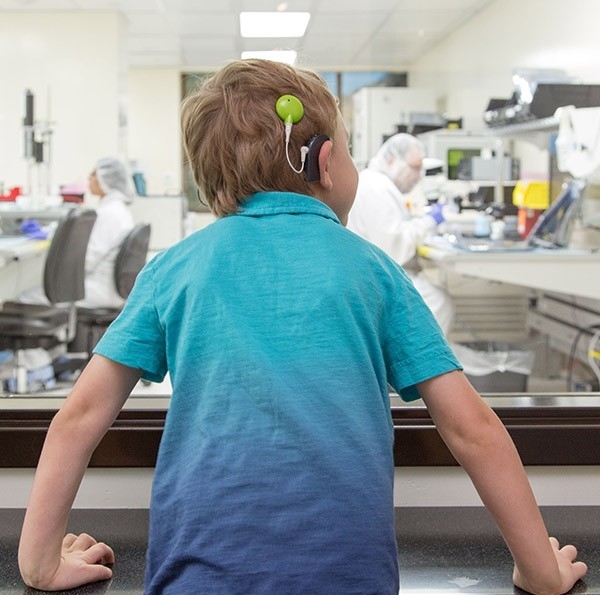 ...we offer our customers one of the most comprehensive product portfolios in the industry—from hearing aids to cochlear implants to wireless communication solutions.